Many Christians try to act the way they think a Christian should, but discover that they simply can't maintain their performance. As a result, they either drop out or burn out. "Free to Be Yourself" reminds us that true faithfulness is based not on us, but in the reality that we become someone completely new the moment we become a Christian. The eternal life that Jesus came to give us is not just something we get when we die. Know the truth and choose to believe it and you can be the person you were made to be. - Publisher A realistic look at what it truly means to be a Christian, how it changes your life, and how it changes the way you live. 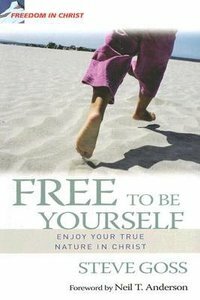 About "Freedom in Christ: Free to Be Yourself"
A realistic look at what it truly means to be a Christian, how it changes your life, and how it changes the way you live.